Real Estate & Estate Auctions in Central Illinois! Yes! We Auction Real Estate Too! Mike Maske Auction Service has been serving Central Illinois since 1976, offering a complete range of professional auction services. Our primary focus includes auctions for farm machinery, land and estates. Our locally-owned and –operated company welcomes holdings of any size or value, from individuals and groups alike. When you have heavy equipment, real estate, collectibles, antiques or any other valuable items that may be of interest to others, consider speaking with an auction house in Illinois instead of selling them outright. For decades, Mike Maske Auction Service has been helping people get the most value for their items by orchestrating auctions. 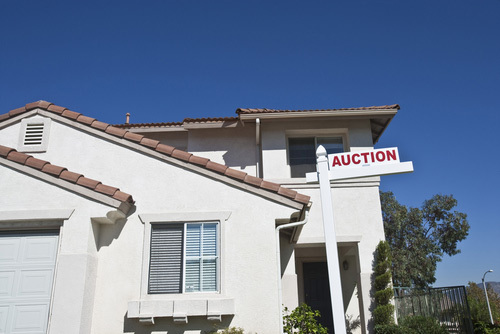 We work with you to categorize assets, set up listings, facilitate the auction and take care of the final transaction. The end result is a better selling price for your items—a bigger return on your initial investment. Whether you’re liquidating an estate or cashing in on a collection, trust us to set up the details of your auction. Other auction houses in Illinois are small-time operations that only work part time or deal with particular items. Mike Maske Auction Service prides itself on being your local, full-time auction expert, providing a full scope of auction services no matter what you’re looking to bring to bidders! We primarily work with agricultural equipment, real estate and estate liquidations; however, we also have a depth of experience in coordinating auctions for collectibles, antiques, mixed lots and undeveloped land. We relish the opportunity to help our clients succeed at auction and are looking forward to assisting you every step of the way. We have our Illinois State Auction License (#040000157) and are a licensed real estate broker. Our business has proudly served the Central Illinois area since 1976. We offer auction services for everything from farm equipment to land holdings, collectibles to antiques and beyond. We’re a full-time auction company, unlike many of our competitors, who only run part-time auction services. We work with individuals and groups seeking auction representation. If you have items ready for auction, contact our professionals today to get started. We’ll help you determine the efficacy of your holdings for auction and work to get them listed quickly. "The auctions are always on point and always entertaining!" "I recently attended a Farm Auction that Mike Maske Auction was responsible for holding. Very impressed with his organization of the auction ..."
"Mike has done an absolutely outstanding job as our auctioneer for the live auction on the 4th Saturday of October for Harvest of Talents for..."